إن فندق Piermonde Apartments بموقعه الممتاز في كارينس سيتى سنتر هو نقطة انطلاق جيدة لنزهاتك في كيرنز. يقع مركز المدينة المثير على بعد فقط. إن سهولة الوصول من الفندق إلى المعالم السياحية الشهيرة الكثيرة في المدينة كمثل Pouch Quality Aussie Gifts, Consulate of Japan in Cairns, قبة كيرنز رينفورست هو استثنائي بحد ذاته. استمتع بالخدمات الراقية والضيافة التي لا مثيل لها بهذا الفندق في كيرنز. يمكن لضيوف الفندق الاستمتاع بالميزات التالية على أرض الفندق: واي فاي مجاني في جميع الغرف, تسجيل وصول/خروج سريع, تخزين الأمتعة, واي فاي في المناطق العامة, صف السيارات . استمتع بوسائل الراحة الراقية في الغرف أثناء إقامتك هنا. بعض الغرف تتضمن اتصال لاسلكي بالإنترنت, اتصال لاسلكي بشبكة الإنترنت (مجاني), حوض الاسترخاء, غرف لغير المدخنين, مكيف هواء لمساعدتك على استعادة طاقتك بعد يوم طويل. يقدم الفندق العديد من الفرص للاستجمام كمثل حمام سباحة خارجي, سبا, تدليك. إن Piermonde Apartments هو خيارك لخدمة الفنادق الراقية في كيرنز. يفرض الفندق سياسة صارمة لعدم إقامة الحفلات. وسيتم التعامل مع أي ضجة مزعجة بمنتهى الحسم. يُرجى ملاحظة أن السعر لا يشمل خدمة الغرف اليومية. سيُطلب منك سند مالي بقيمة 250 AUD لكل غرفة في شكل إذنٍ مسبق باستخدام بطاقة الائتمان عند الوصول. قد تسري رسوم على الأشخاص الإضافيين وقد تختلف حسب سياسة الفندق. تخضع الطلبات الخاصة لمدى التوفر عند تسجيل الوصول وقد تدفع تكاليف إضافية نظير الحصول عليها. ولكن لا يمكن ضمان الطلبات الخاصة. Spectacular view from room 1202 watched cruise ships come and go. Beautiful apartment very spacious. Well presented. Huge balcony with table and chairs. Big screen tv in lounge and also in main bedroom. View from every window. Location as Pros, everything else is not great. 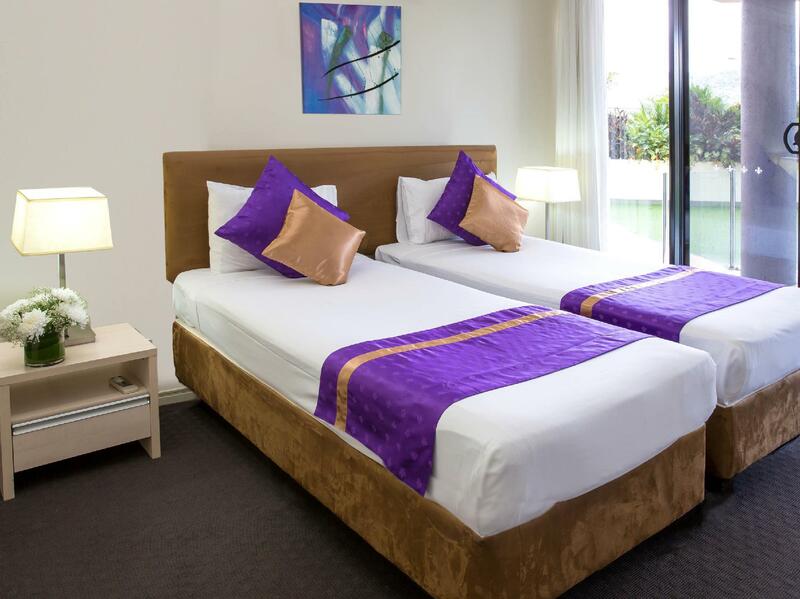 I booked this hotel over a weekend before my business trip and it was an easy 10 minute walk to the Reef Fleet terminal. C'est Bon French restaurant is near by and a nice cafe called Tattle. 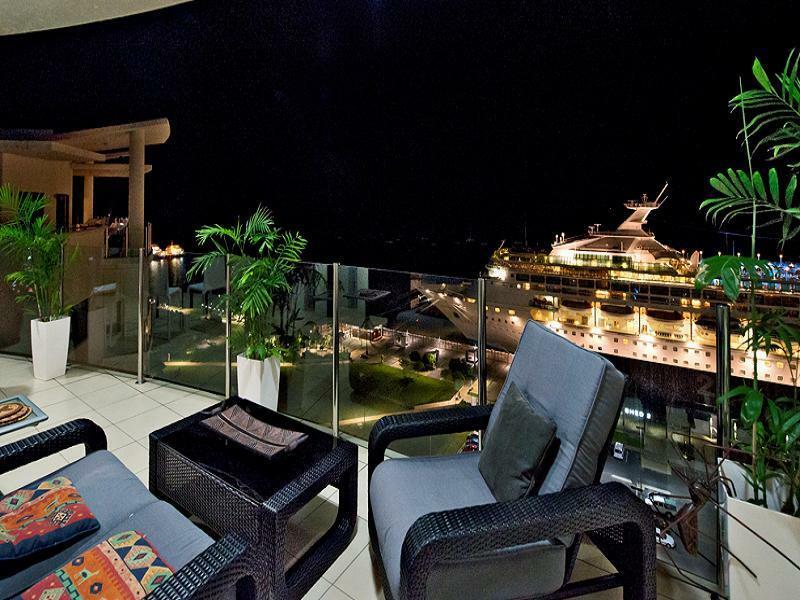 The property has several options for ocean view balconies and conveniently located near the Cruise terminal. The apartment was spacious, clean with a spa bath and a full kitchen facilities. 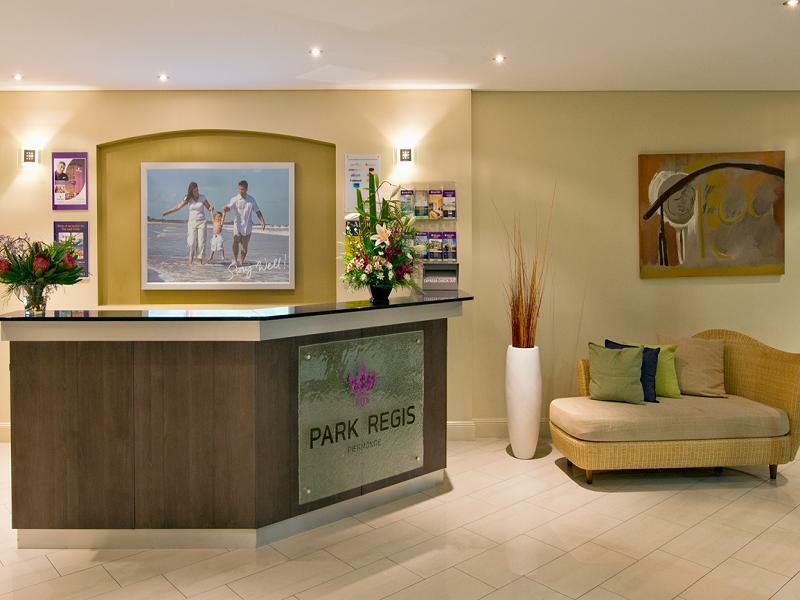 Note limited reception on the weekend and may need to check in next door at Park Regis on the weekend during off peak. Staff was helpful and parking onsite available at a cost. 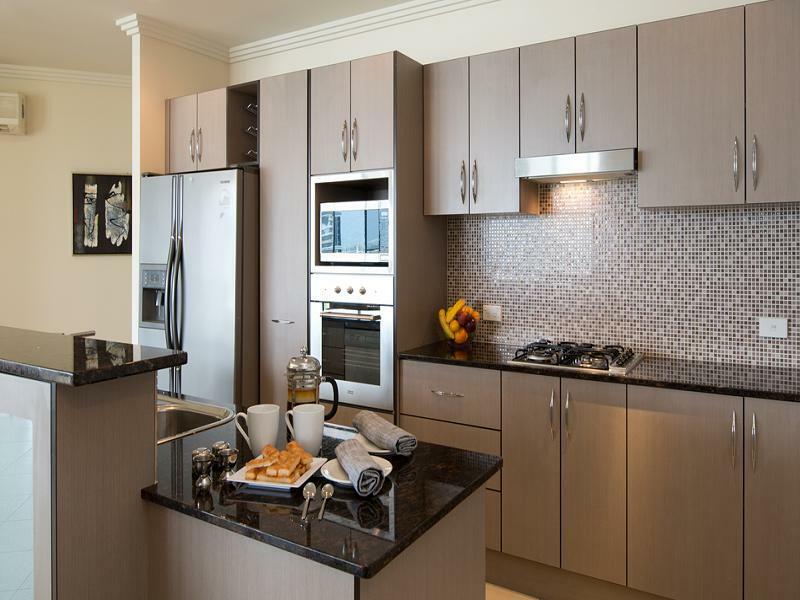 Clean, modern, spacious, comfortable apartment with great views from balcony. Only complaint is that the aircondioners in bedrooms are very noisy and wake you up at night with loud clicking sounds. The grandparents are amazed by this big apartment and the great seaview! the kids has a lot of space running inside this appartment ! Well equipped and we can book meals there! It's close to the Asian supermarket but a bit far from the pier and the city centre (need 10-15 min of walk). We had a city facing room on 12th floor. View was nice enough but either Cairns is a very noisy city or this place is a sound tunnel or the soundproofing is poor - or all of the above. We were pretty surprised at just how much thrum and party noise we could hear. AIr con machines on the roofs of other buildings, party revellers, car and truck noise and more were very clear. We live in a noisy part of Sydney under the flight path and I reckon it's quieter there than the room we had. The beach side of the building may be quiet, I can't say but the city facing side noise was enough for me to probably look around for another place next time. All of my family was surprised with the cheap price of the rooms, compared with its luxury. Recommended!!! It just right locates next to the pier which is very convent. Room is spacious and tidy. We did unfortunately have a fire alarm go off but overall, excellent place to stay. Great location, huge apartment. Extra bathroom for our son, huge fridge, excellent kitchen, view. Only regret is that we couldn't stay longer! Will stay there next time we visit Cairns, for sure. 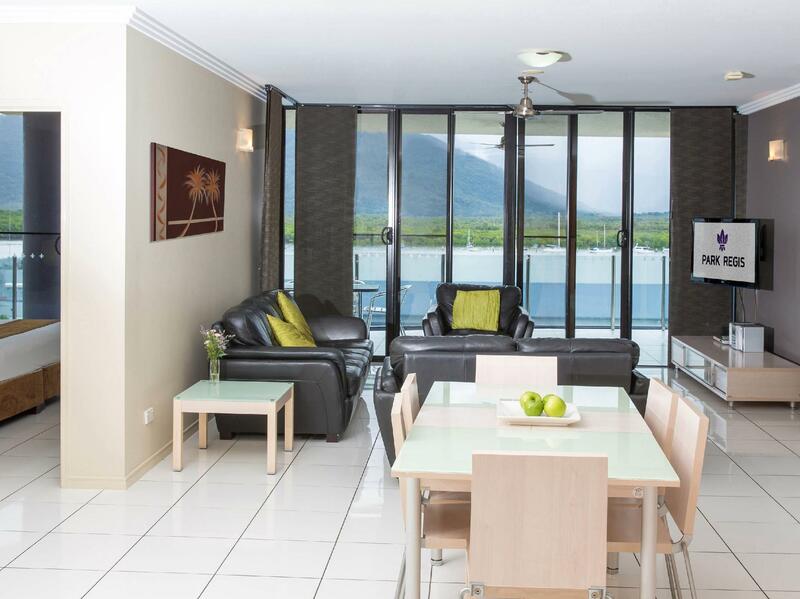 Have stayed in Cairns before and spent twice the money for half the accommodation this was. Beautiful place to stay. Near the Casino. Had dinner at the Pullman which is just around the corner. Great place. We stayed for a conference, and the building is right across the road from the conference centre. The overall cleanliness was very poor. Cutlery in the drawers had food from prior use, staff must just rinse them off and store. Utensils had food on them, crockery had food on them. Everything we used was put through the dishwasher before we could use them. Broken hairdryers, one completely broken, the other worked on one setting only. 3 hangers only in the master wardrobe- who does that at a hotel across from a convention centre that surely wants the business client? This place could use a change of service staff and management perhaps?